Psychologist Peter Bower's life is thrown into turmoil when he discovers that the patients he has been seeing are ghosts. Risking his own sanity, Peter delves into his past to uncover a terrifying secret which only he can put right. 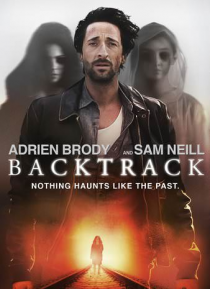 Backtrack is a spine-chilling story from the acclaimed writer-director, Michael Petroni.